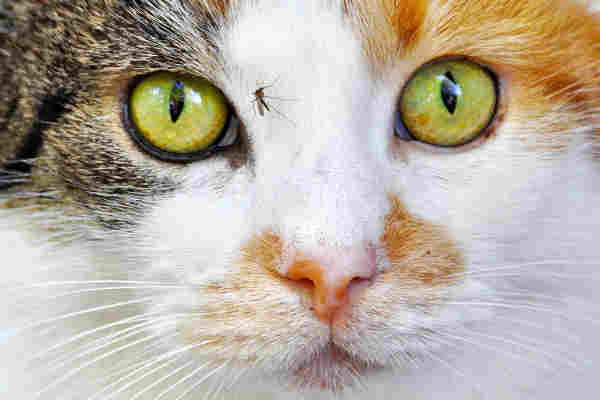 Our beloved cats and dogs are susceptible to mosquito bites just the same as humans. The bite of a mosquito will have the same consequences for the pet’s health, as it would for the owner. An itchy bump will occur at the bite site, and the animal will be at risk of any infectious diseases the mosquito maybe carrying. Infections which are commonly transmitted from mosquito to human, such as malaria, dengue and the zika virus are not found in domesticated animals such as cats and dogs. There are several mosquito-borne diseases which pet owners need to be aware. West Nile Virus is a disease transmitted between animals and humans through a mosquito vector and can be transmitted to cats and dogs. Such transmissions are rare and will not pose any serious health effects to a fully-grown healthy animal. However, it can cause some neurological problems in vulnerable animals such as the young, old or unwell. Equine Encephalitis, as the name suggests, is a virus associated with horses and other equines. It can also infect birds from the order Passeriformes and occasionally cats and dogs. The EEE virus can often present no visible symptoms, making it hard to diagnose. In severe cases the virus can be fatal to the animal. However, such transmissions are rare in domesticated animals. The animal becomes withdrawn and inactive. Equine Encephalomyelitis is commonly found in wild rodents. This virus causes a decrease in both red and white blood cells in the blood of cats and dogs. Some animals are immune to the VEE virus and show no signs of the infection, making a full recovery. Animals displaying these more serious cases are usually fatal. Francisella tularensis is the organism responsible for this bacterial disease, commonly found in rabbits and rodents. Once inside an animal, the bacteria are collected by the lymph nodes, where a systemic infection can follow involving the lungs, liver, spleen, and bone marrow. The bacteria then form masses and abscesses in the liver. It can be transmitted to a dog through the ingestion of an infected animal, or through an infected mosquito bite. The biggest threat to your pets from mosquitoes is heartworm (Dirofilaria immitis). Heartworm is a parasitic round worm most common in canines but can also affect domestic cats. In rare cases heartworm has also been transmitted to humans. The thin parasitic worm when transmitted by a mosquito to the animal host, will reside in the pulmonary arteries or the heart. These parasites can cause death from congestive heart failure, but can also damage the arteries, and lungs. In cats the parasite can also migrate to the brain, but infections in cats are only 5-10% those of dogs. 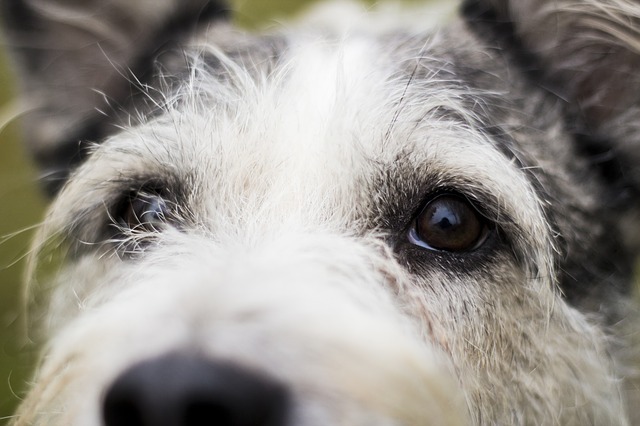 There are a variety of drugs available to help prevent heartworm infections. If you are concerned about your pet, or live in an area where the parasite is endemic, you should consult a veterinarian for advice on the best course of action. If your pet has a thick coat of fur, this may protect it to some degree. However, the sensitive areas around the mouth, ears and nose will then become a target for the mosquito. You probably already know, that many products safe for humans can be toxic for our pets. This also applies to mosquito repellents designed. for use on human skin. The first thing you should know is – DO NOT USE HUMAN MOSQUITO REPELLENT ON ANIMALS. This is very important. Most human repellents are toxic to animals, especially cats. DEET is the most effective active ingredient for repelling mosquitoes. But when used on animals can cause serious toxic poisoning. NEVER USE DEET ON ANIMALS. DEET exposure is very serious in animals and can cause health complications. The fact the areas around the mouth and nose are the areas that need protecting increase the risk of exposure, as applying DEET to these areas can lead to ingestion. Cats in particular are well known for cleaning and grooming the face which can initiate ingestion. 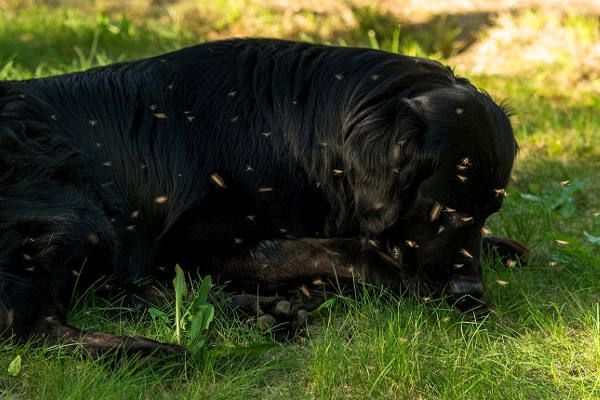 If your pet has suspected DEET poisoning and is showing any of these symptoms, you should seek veterinary attention immediately. You should only use mosquito repellents especially formulated for animals. Cats are specifically sensitive to the toxicity of insect repellents, and you should not apply insect repellents intended for dogs onto cats. A well-known and respected brand of repellent for both cats and dogs is Vet’s Best Natural Mosquito Repellent. Vets Best Natural Mosquito Repellent contains natural ingredients. Avoid taking your pets out during the peak mosquito periods of dusk and dawn. Limiting exposure during these times will minimise the risk to your pets. Mosquitoes can be particularly aggressive during these times, with increased bite activity. Exposure to areas with standing waters or well known mosquito zones should be kept to a minimum during these times.